Want to see all Tom Brady Football Cards in inventory? 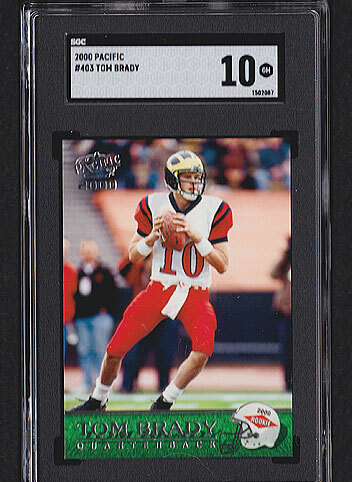 Details: 2000 Pacific Tom Brady #403 RC graded SGC 10 GEM MINT. Beautiful card. Solid grade. FREE SHIPPING!